There are a number of features available on new and used Honda models for Waterbury drivers, and at times it may be a bit unclear what these features can actually handle. At Honda of Watertown, we understand that which is why we have compiled videos on how to work with some of your new technology and features! Select Honda Odyssey models come equipped with the HondaVAC®, which makes cleaning the interior of your Honda minivan much simpler. Featuring an eight-foot long hose and multiple detachments, including a gulper and crevice tool, which stow away in the cargo area side panel, the HondaVac® helps you get hard to reach areas. To use the HondaVAC® you must have your vehicle ignition on accessory mode, which can be turned on by depressing the push button start. Then use the power switch to turn it on, and your HondaVAC® will run for 8 full minutes before turning off. Your HondaVAC® also comes with a replaceable filter and bag, but can function without a bag. You can purchase more filters and bags at Honda of Watertown near Southbury. The 2016 Honda Accord was the first of a number of Honda models that feature available Apple CarPlay™*, giving drivers more connectivity and ease through iPhone by access via your touch screen and steering wheel controls. Just plug in your iPhone to the quick charge USB port and hit Apple CarPlay™. You can then access your iPhone via the your touch screen or via SIRI on your steering wheel. From music, hands-free calling and texting, navigation, and more you are sure to feel safe and connected on any road. The 2018 Honda Accord is the first of a number of models that support Android Auto™*, providing connectivity and ease for drivers on any road via the dashboard touch screen and steering controls. To connect your Android you can plug your phone into the quick charging port where your device will automatically begin to pair. You can call or text your friends and family by holding the talk button on the steering wheel for two seconds. Android Auto™ also provides the opportunity to find places near you via navigation, listen to your favorite music, and more! Honda Sensing® features a suite of safety and technology features providing a safer drive, no matter whether you are running a typical commute or traveling far outside of Torrington. Honda Sensing® comes standard on a number of Honda models from SUVs to sedans and includes the Lane Keeping Assist System (LKAS)*, Collision Mitigation Braking System™ (CMBS™)*, Adaptive Cruise Control (ACC)*, and the Road Departure Mitigation System (RDM)*. Customize your Honda model with a variety of genuine Honda accessories. Whether you want to customize only your wheels, or your underbody, spoilers, doors, and more Honda of Watertown can help you out! 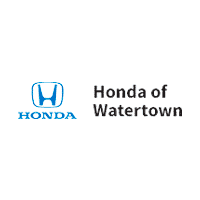 Honda of Watertown in Watertown is ready to be your trusted resource in all things Honda. Whether you need new bags or filters for your HondaVAC®, need help setting up your Apple CarPlay™ or Android Auto™, want more information on Honda Sensing®, or are looking to customize your Honda model with genuine Honda accessories our team has you covered. Give us a call, or come in today!